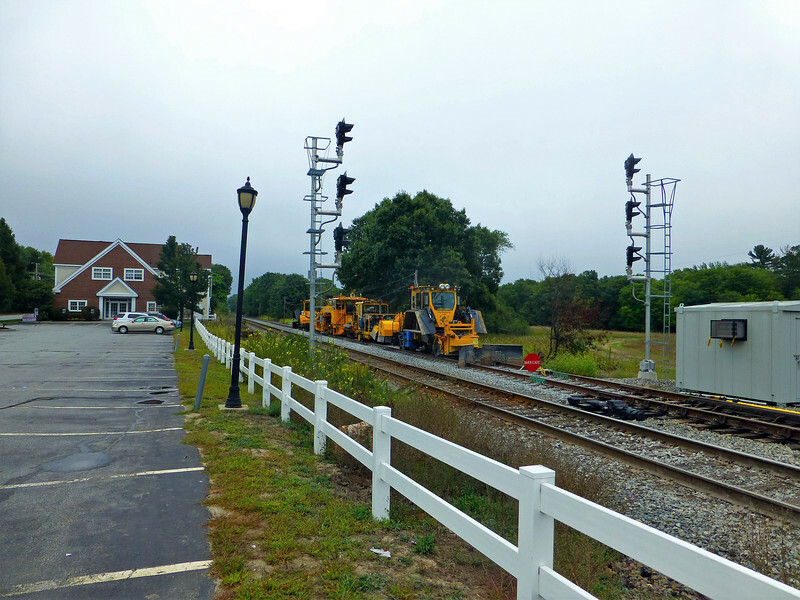 9/6/2016 New Interlocking in Andover - Signals are turned sideways. The new second track is almost ready for service but not quite yet. Track equipment occupies the new second track. Signs at Andover Depot warn motorists that both tracks are in use by high speed trains. On 9/12/16 the second track and the new interlocking went into service. The interlocking is named "Vale".